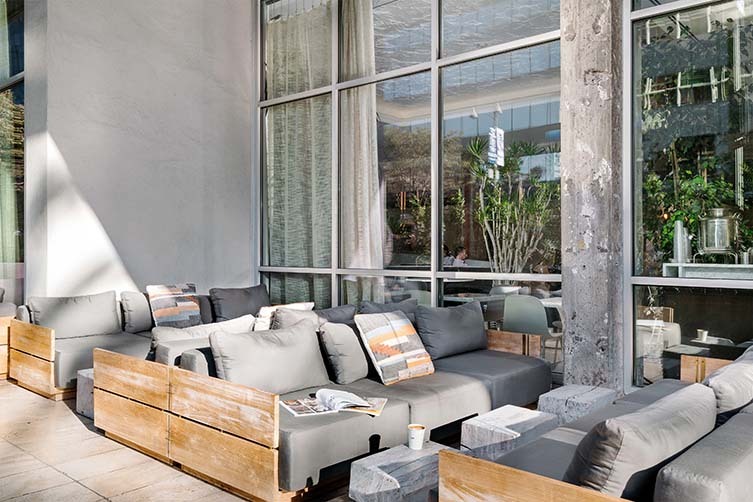 With a reputation of embodying the local spirit of where it resides, each property in The LINE Hotel portfolio is unique, bound together by community and culture. 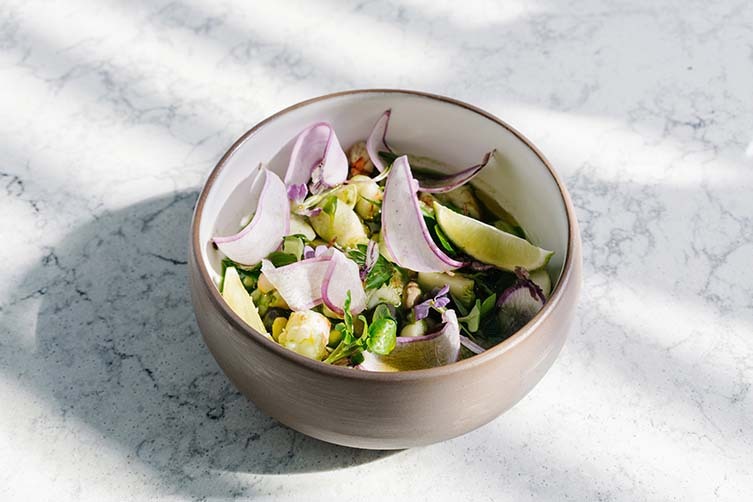 Having originally put (virtual) pen to paper in 2014, the original Los Angeles outpost—in keeping with Sydell Group‘s mission to evolve with the neighbourhood—has recently shaken things up with its food and beverage offerings; forging a partnership with two-star Michelin chef Josiah Citrin. 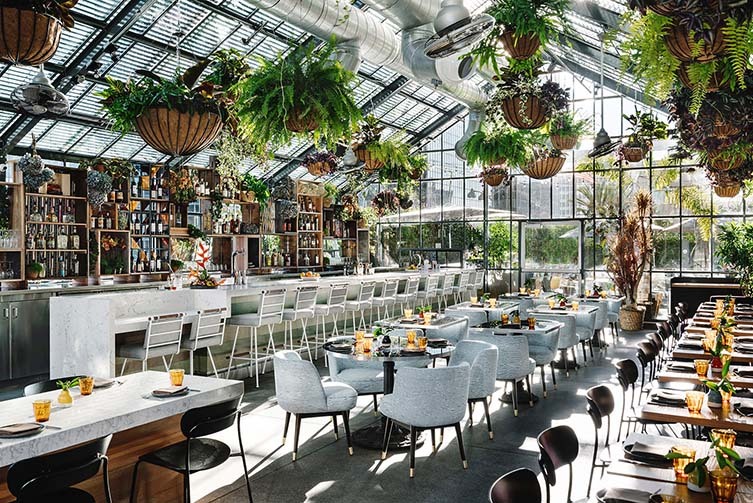 A native Los Angeleno, Citrin will oversee Openaire, a greenhouse restaurant showcasing seasonal sharing plates in a space transformed by the hotel’s original designer Sean Knibb. 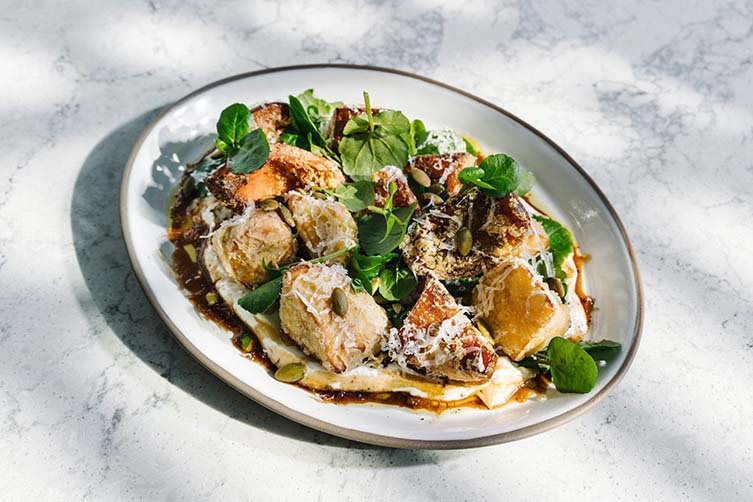 An oasis of green, the relaxed poolside eatery—a celebration of indoor/outdoor living—features dishes inspired by Citrin’s “soulful and generous approach of meals prepared at his home, balancing flavour and simplicity in a spirited atmosphere”. 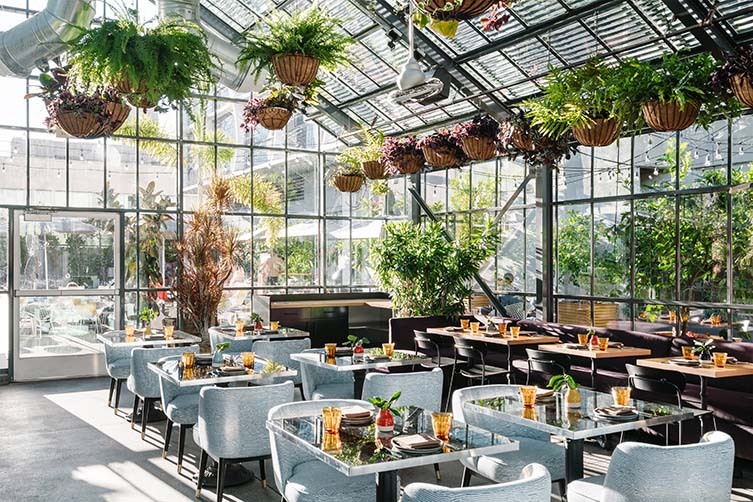 Here, treats like Caledonian shrimp, Snake River Farms sirloin, and suckling pig can be enjoyed with a selection of wines and proprietary cocktails amid the waft of fragrant Jerusalem jasmine and rose geraniums; Knibb also creating intimate nooks for those desiring a more personal experience. 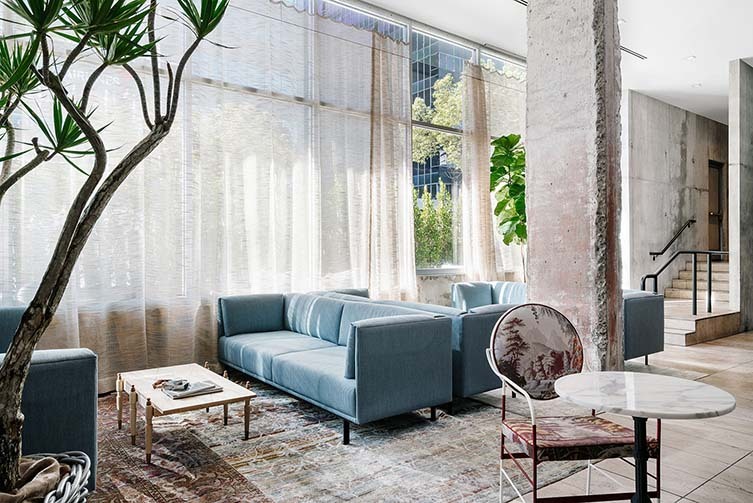 Diners can also sample the chef’s cuisine in the lobby bar, a space now embellished by a site-specific installation by designer Henry Taylor and a Poketo mural by artist-in-residence Brendan Monroe. 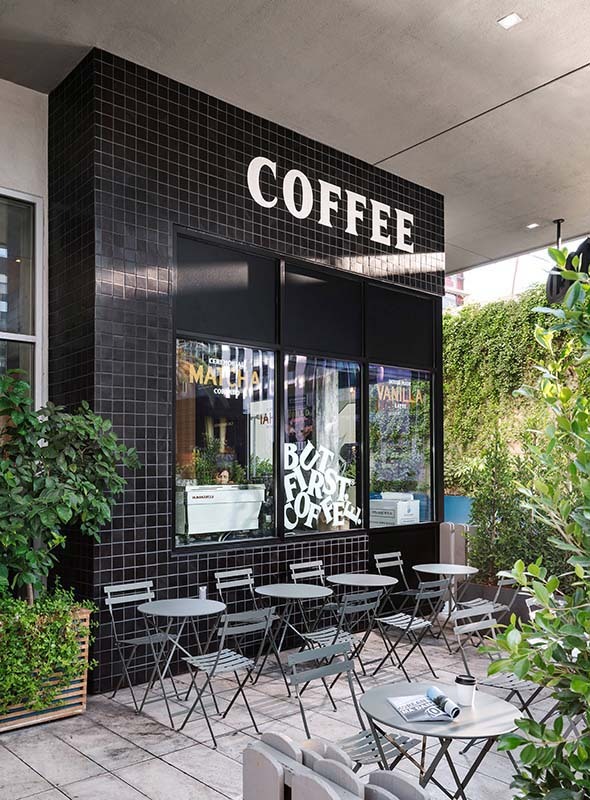 With new life brought to the ground floor hangout, it makes for a great place to while away a few hours in the heart of Koreatown—chowing down on a diverse offering that includes bahn mi, burgers, and grilled cheese, alongside a menu of inventive cocktails from the Happy Hour Agency. 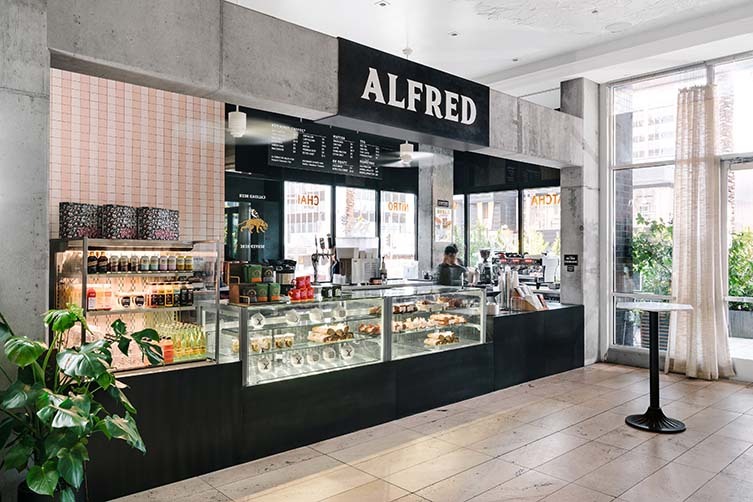 LA-based Alfred Coffee can also now be found on the ground floor, and is the best remedy to a cocktail-infused hangover; their signature matcha and Instagrammable coffees accompanied by breakfast burritos made by the popular Rooster Truck team. What more reason did you need to return to LINE LA?